Controls: Left and right arrow keys to move. Space Bar to shoot. Objective: Try and score as many points as possible by destroying enemy ships! The green and red ships both take 1 hit to destroy, the Worm takes to hits and the bigger white ship takes 3 hits to destroy. Power Ups: The fireball is a one hit to all enemies. The multi-shot fires 5 lasers instead of 2. The Shield blocks on shot from an enemy but does not protect against running into ships or the worm. After you reach the score of 2000 enemies will spawn more frequently. Hey good job! I had fun with this as i really like shmups/bullet hells! (thats the type of game i made for the jam) Although this was a bit lacking on the bullet hell side of things, but it had a nice amount of difficulty. The upgrades were fun and the enemy variations were sweet! Good job! I'm glad you enjoyed the game! Like i said in another response i wanted to put in more enemies like wall cannons that would shoot bullets diagonally but i couldn't quite think of the best way to do it off of the top of my head to where it had a smooth connection with the wall since its not just a straight line. Usually the jam entries have good gameplay with kinda bad assets. This one is the exact opposite though, art and sounds are awesome, but the gameplay is underwhelming and monotonous, even though I liked the upgrade system a lot, and you have quite a bit of content and variation, it's still not enough to break the monotony of moving and shooting, since there are no bullet patterns or anything to make it a bullet hell it's kinda just a "Shoot down, avoid the bullets that come up". well that's certainly a different take on it. There are a lot of things i plan to implement into it but just didn't have the time so game play wise didn't go very far. Like i would have liked to put cannons on the walls but just didn't quite know how to implement it at the time but i will figure it out. I'm still trying to get better at coding so i might not be able to put everything in that i want to just yet. Pretty cool game. The graphics and sound are decent, plus it's fun shooting stuff. I really like all the power-ups, especially how they can stack. I feel like you should get multiple lives, though. Currently you can die super quickly. Thanks for enjoying the game! I will think about adding lives after the game jam. Nice game but it's really hard ! You mention shooting 3 lasers but there's only 2 ? Also I'm not sure the shield really works. And last thing: it seems like the bonuses cancel themselves if you pick up both ? I had the fire and picked up the multishot, I lost the fire and had the blue bars on the left, but shot only 2 lasers, not 5.
thanks i didn't think about that while developing it! I will be sure to implement it when i put it on game jolt! 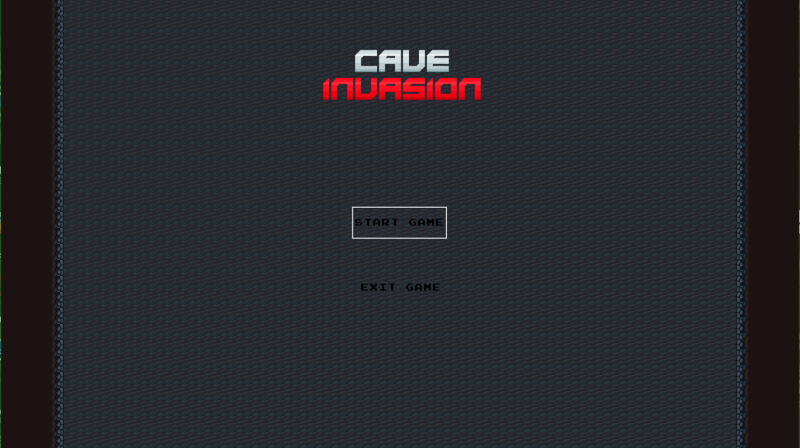 You are captain of a space ship ordered to infiltrate a cave base on an enemy planet. 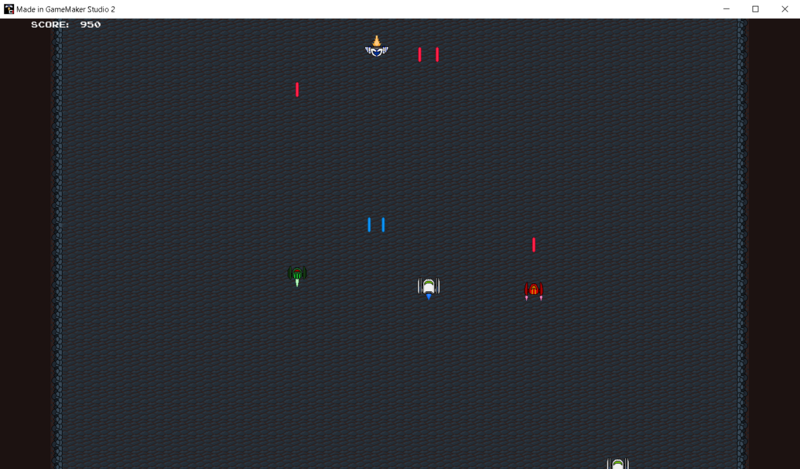 Your objective is to try and take out as many enemy ships as possible!